Day 3 of the Summit Pack project wound up with the the front assembly pretty much complete! You can see that everything is taking shape: the zippers are all completely installed (and I love that there is a zipper flap over the main zipper on the bag) and the lining is completely finished (except for the back of the bag). 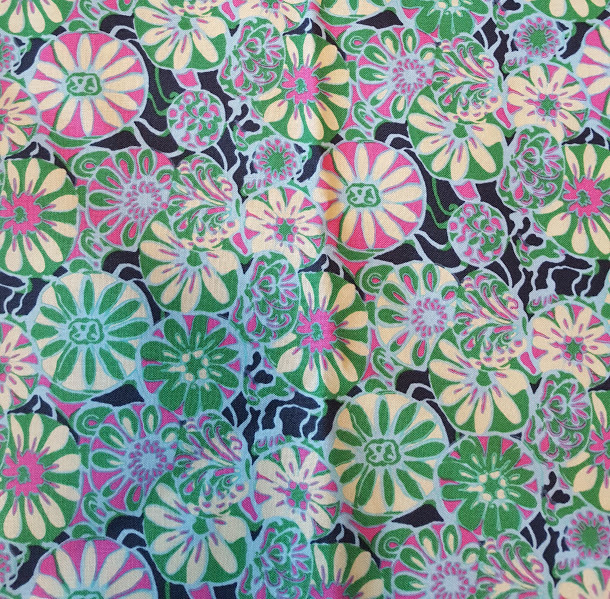 Thankfully, things have come along very nicely with this except the pink Kona fabric doesn’t behave well with the woven interfacing – it just feels cheap (especially in comparison to the Amy Butler print) and makes weird wrinkles. Note to self: “Never buy this material again from Joann’s”. I am guessing just an hour or two on this one and my Summit Pack will be complete….. but you’ll have to wait until Monday to see the results! Instead, on Friday I plan to show you a very awesome bag pattern that I got to test for Betz White for the Bag of the Month Club! This entry was posted in Uncategorized on August 31, 2016 by stacy. After prepping all my materials for my Summit Pack, I was ready to get sewing…. yesterday’s agenda? Lots and LOTS of zippers. While this doesn’t look like much, a lot of the bag’s basics were created today: Strap and D-ring assembly, the interior zipper, the exterior zipper (which is where the bag will be pulled through to turn right side out), padded pocket, card pocket, and small zippered pocket. WHEW! So far, everything has come together beautifully, just slowly. I am excited to see how this all looks together when it’s done! This entry was posted in Uncategorized on August 30, 2016 by stacy. 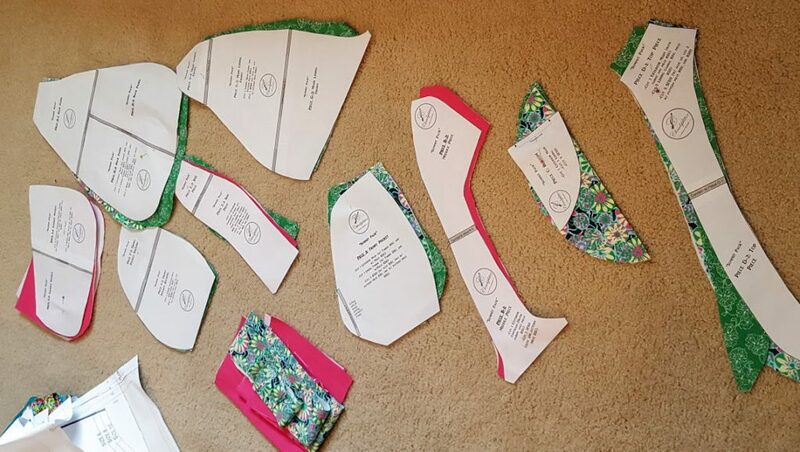 While the photo doesn’t make it look too horrible, there are lots of pieces to be cut out – including several layers of interfacing for each exterior and lining piece. In all, it took me an entire day (probably really a very long afternoon) to get everything cut and fused together. WHEW! One thing that I will mention is that how you cut is very important to this bag. 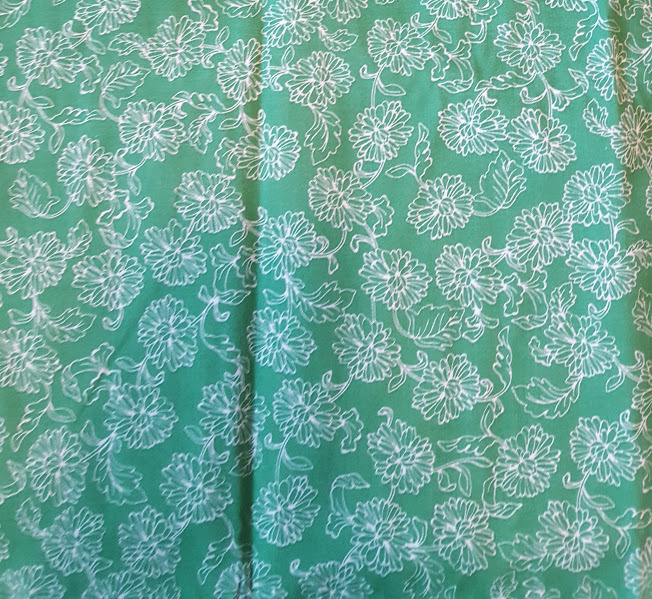 Since it has an asymmetrical shape, the lining and the exterior should be mirrored – so be sure to follow the directions on each pattern piece as to how (and how many times) you need to lay out your pattern on your fabric. Also included in the instructions is a handy chart that you can follow to make sure that you’re cutting the correct pieces (and number) from each fabric and interfacing. 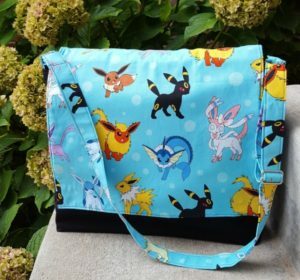 I found this to be a good reference tool to make sure that I’ve got everything prepped to make this bag! This entry was posted in Uncategorized on August 29, 2016 by stacy. Sew It All Vol. 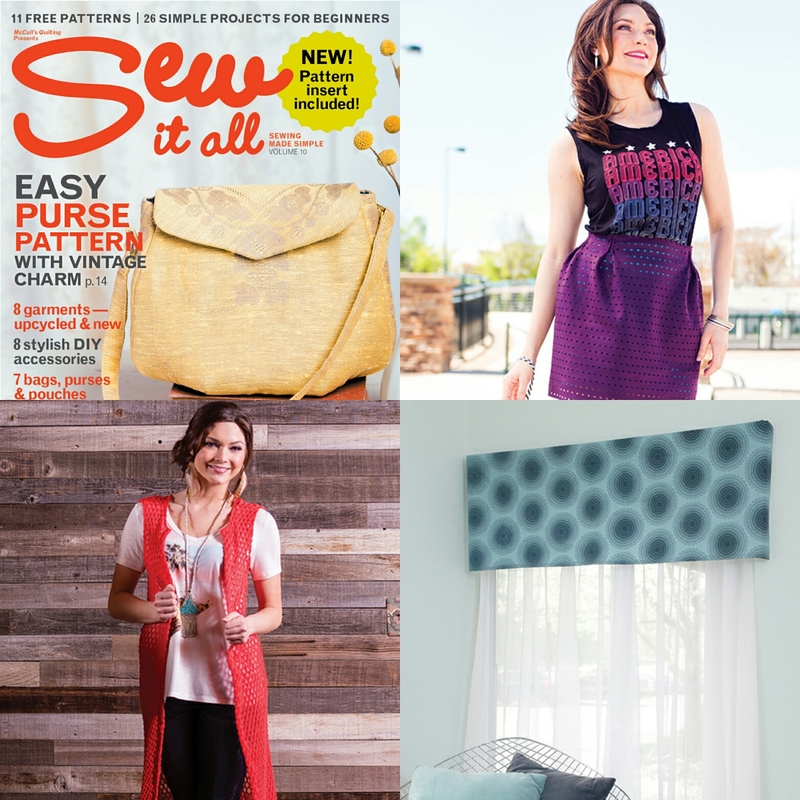 10 hits newsstands next week, but you can get a sneak peek at my projects inside this issue now! You can learn how to create a fun, lined, laser cut neoprene skirt that is designed to fit your specific measurements. there is a lot of math involved, but it’s basically a ‘plug in’ worksheet that will help you with cutting your material. No neoprene? No problem! The instructions will work with any fabric type. The boho trend is still running strong. Stay on top of this fall’s fashion fun by making yourself a long vest. With just a few measurements and an hour sewing time, you’ll have a great new look for yourself. 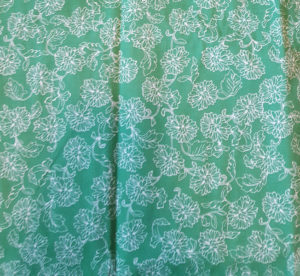 Lastly, learn how to create a simple valance that can spruce up any room of your house (or dorm room)! This project requires just a few measurements and is great for beginners too! If you’re interested in recreating these looks for yourself and are needing fabric resources, both the neoprene and sweater knit are from Gorgeous Fabrics. She currently doesn’t have any laser cut neoprene in stock, but you can still snag the material for the vest (she also has several other colors that are very similar in the clearance section for 60% off too). The valence material is from the Parson Gray Vagabond collection. This entry was posted in Uncategorized on August 26, 2016 by stacy. I’m in bag making mode! If you haven’t checked out my kid-sized messenger tutorial, be sure to stop by BERNINA’s WeAllSew to get the instructions. Need a bag that’s sized for adults instead? I am in love with this weekender style bag that sports lots of pockets! 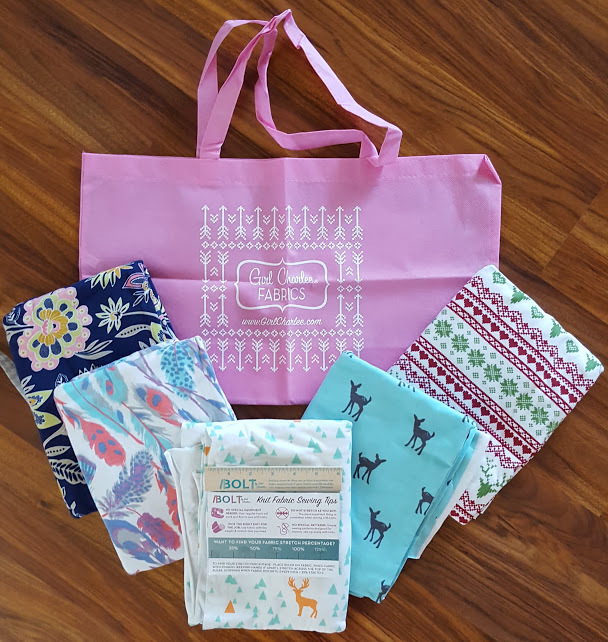 Get ready for weekend sleepovers (or day care naps) with one of these cozy flannel sacks and matching pillowcase. I love little pouches, but I always have a concern that I’ll lose my cards\ID if the wallet is open. This tiny zippered card pouch is the perfect solution! This twisted handled purse claims it is an anti-pickpocketing purse, making it perfect to carry on vacations (or for this year’s holiday shopping). Have you saved tiny scraps of your favorite fabrics, just waiting for the right pattern to use with them? Look no further than this pretty pincushion. One of my favorite sweatshirts last year had a cowl neck. This year, I’m looking to make some more. I might just start with this free tutorial. Hooded towels make great baby shower gifts and can be quick and easy to make. Here are two variations to make you own: This one has a triangle hood, while this one has a more rounded shape (like the kind you might see on a hoodie jacket). Keep your ear buds neatly tucked away in this cute little citrus pouch. Need a dress that’s easy to make and easier to wear? Check out this tutorial for the ‘easy tee’ dress. Learn how to make a casual, contrast tee with an option to use a pattern or draft your own. It’s not too late to jump in on the romper trend this season. Check out this version sized from XS-XL here. 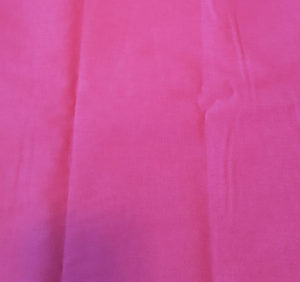 Looking for a large plush to sew? Try out this adorable Nessie tutorial. This entry was posted in Uncategorized on August 25, 2016 by stacy. 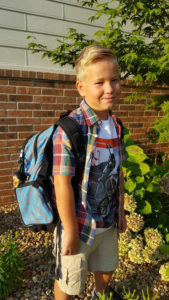 Looking for more back-to-school sewing ideas? 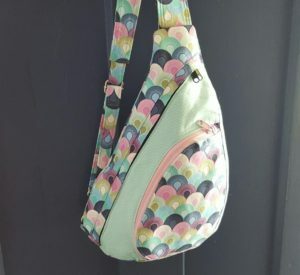 Be sure to check out my latest tutorial at WeAllSew that’s featured today – A Kid’s Messenger Bag! I found that messenger bags are hard to find in a size that’s appropriate for a child… so I decided to make my own! My version is large enough to hold 2, 1″ 3-ring binders, but still small enough that it doesn’t over-power their shorter stature. 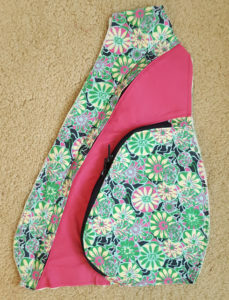 It also features a divided back pocket (to stash last minute items in as they head out the door) and an adjustable strap so just about anyone can wear it. This entry was posted in Uncategorized on August 24, 2016 by stacy. The word “Sashiko” means “little stabs” when translated from Japanese. Traditionally, these little stabs were used to reinforce (and even darning) upcycled indigo fabrics that were then used to make heavy coats. Today, we use the same techniques to create modern quilts, accessories, and home decor. Last week I received Simple Sashiko in the mail and had the opportunity to check out the projects inside. Let me start off by saying that hand sewing is not my forte. In fact, I’m downright horrible, but there is a good explaination of how to achieve each stitch type (and knots) for every project so I am fairly confident that I could achieve similar results if I tried. Also included are the detailed instructions to how you create each stitch pattern… this has to be the most fascinating part of the book as I never thought about the process of making continuous, intricate geometric patterns before. 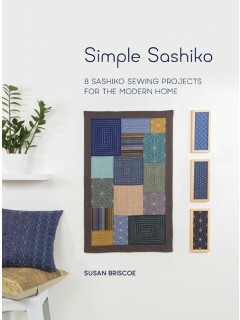 Besides the instruction on sashiko itself, there are also 8 projects included in the book that showcases your work. 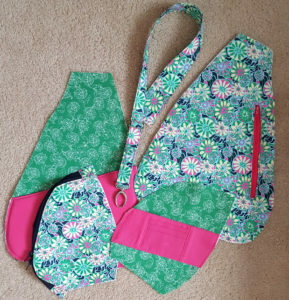 These include wall hangings, sampler pillows, totes, and home decor items like placemats and coasters. This entry was posted in Uncategorized on August 23, 2016 by stacy. Oh Instagram, you are an enabler. I recently saw someone sew up the Summit Pack by Cloudspitter Designs and decided that I had to make one too. This bag is a sling style (designed to be worn on your back) and is very reminiscent of KAVU rope bags that Taylor started using last year…. now I’m getting my own. 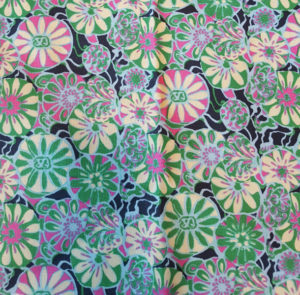 I headed to the store to pick up some notions and lining material for a test run of this pattern. I have to admit, I’m not wild about my zipper selection…. why can’t stores have decent zippers other than tan and black? This entry was posted in Uncategorized on August 22, 2016 by stacy. Unbelieveable. Summer is officially over. Easton started back to school this morning…. I can’t believe it’s time already. Clean up the sewing room. Seriously, my room has been neglected. After several large projects this past few months, it is a hot mess. I am sure this is a day long endeavour. Get the house back in order. It has been sadly neglected over the summer. Do that selfish sewing. I have a growing list of things I want to work on…. plus a few “top secret” projects in the works. Once I’m done with the first two on my list, it’s time to get to work on my Girl Charlee Bolt fabrics that arrived yesterday. Not only did I get another cute bag with my fabric, but there was a cute little ruler and a handy stretch guide on a card. I selected a wide range of prints from a pretty floral and the popular feather print to a Christmas ‘stripe’. I don’t have any specific plans for any of them at the moment, but I’m hoping to brainstorm while I’m cleaning. This entry was posted in Uncategorized on August 17, 2016 by stacy.